Apparently there’s this thing called ‘mansplaining’. It used to be Internet Speak; then it was Word Used By Journalists Desperate to Remain Relevant to Internet Speakers; and finally, in 2014, it was elevated to Word, thanks to its inclusion in the Macquarie Dictionary. And before there was ‘mansplaining’, there was ‘Men Explain Things To Me’. Am I a bad feminist? That’s probably the question a lot of people asked themselves when they saw the title of Roxane Gay’s essay collection Bad Feminist (2014). The insidious nature of contemporary sexism – veiled in ancient gendered representations, in advertising and the media, and in the rise of ‘irony’ as a catch-all phrase for dealing with accusations of misogyny – certainly makes it difficult to tell at all times whether sexism is actually happening, whether we’re unconsciously (or even consciously) accepting stereotypes of gender as they are handed to us. 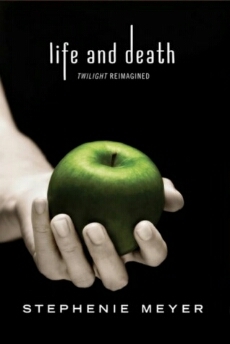 Stephenie Meyer’s new offering, Life and Death (2015), is intended to be a kind of addendum to her problematic series about teenage love in the age of vampirism, Twilight (2005). According to Meyer, the story is a kind of fictionalised response to the plethora of accusations of sexism that have been levelled at the Twilight series. By swapping the genders of almost all the characters in the original story, Life and Death is meant to show how problems with gender in the original series are actually problems that can be attributed to the main character’s humanity rather than her femininity. Life and Death has been branded a lot of things: bungling, lazy, and just plain greedy. Most have greeted it with a rightful degree of cynicism, seeing it as a rather cheap way to make a bit of extra cash and rejuvenate a series that, ten years on, is beginning to look a little tired. 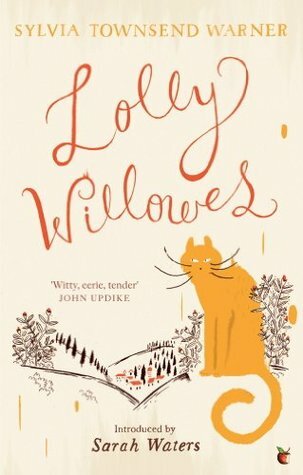 Do you want to read about an old, respectable English spinster who moves to the country and sells her soul to the Devil to become a witch in the heady days of the 1920s? Of course you do. It’s a fantastic idea. Forget great parties at Gatsby’s, I want to see an old English lady drop her drop-waisted dress and do Satanic dances on top of a hill. I want to see her chat with the Devil over tea and biscuits. I want it to be kind of like The Master and Margarita only less confusing. Not that I really needed convincing, but a book entitled We Should All Be Feminists seemed like a pretty perfect place to begin my goal to read more feminist literature in 2015. And given that International Women’s Day was two weeks ago, I thought I’d go ahead and write a little about this essay. At only forty-eight pages, there’s really no excuse not to read this short piece, which considers some of the reasons why feminism is still required in today’s world. The text is an adapted version of a speech that Adichie gave a while back; perhaps for that reason it feels formal but still personal. Adichie’s style is readable and intelligent, and at no point did I find myself disagreeing with anything that she said in this essay.